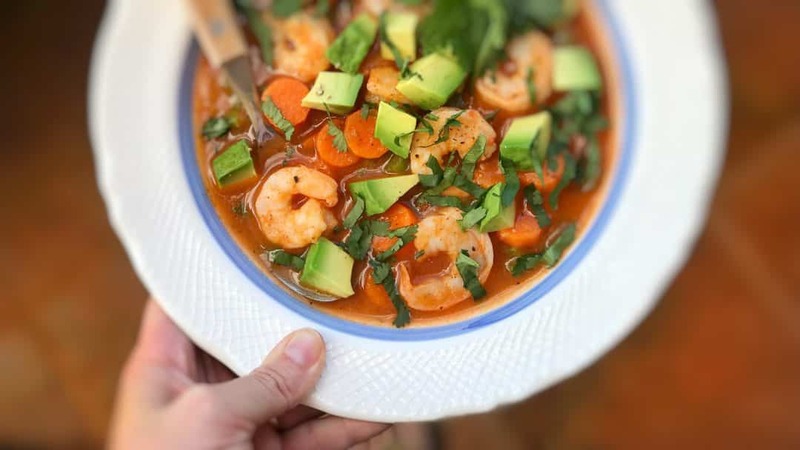 Caldo De Camaron (Mexican Shrimp Soup) | Simple. Tasty. Good. I’d heard of caldo de camaron before, prawns and crunchy veg swimming in a spicy tomato soup. Sounded like a great lunch idea to me back then! So here it was, 14 leftover raw prawns in my fridge because I made a most delectable saffron and prawn spaghetti the day before. The remaining ingredients I wanted to add to my personal caldo de camaron version I found in my fridge and pantry also. 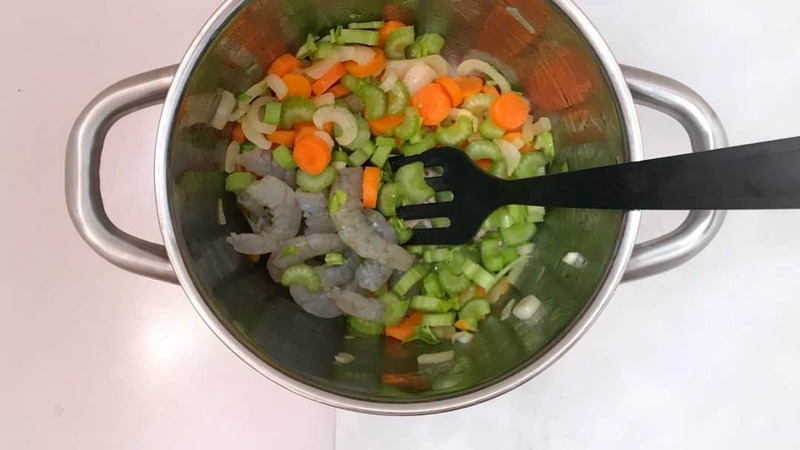 So then let’s throw the whole shebang together until I end up with something tasty because I fancy a spicy prawn soup for lunch! Be generous with the lime juice and cilantro because that will give the necessary explosive flavors to this caldo de camaron! Also keep those vegetables crunchy! 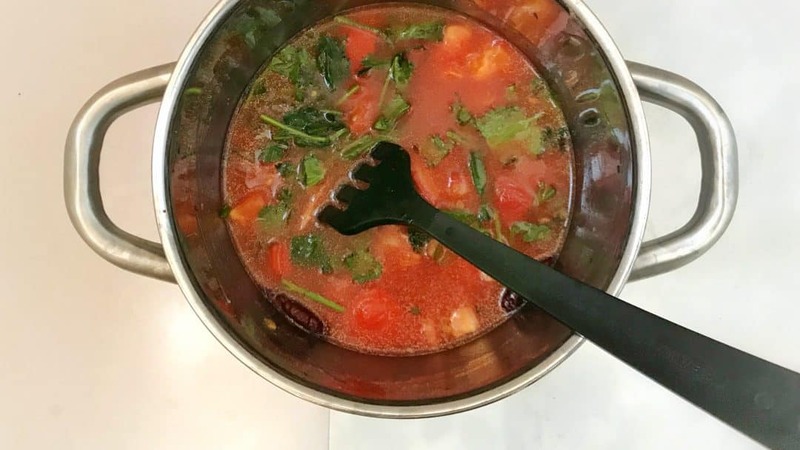 I added lemongrass to my tomato broth because it adds an extra citrusy touch, but you can leave it out. 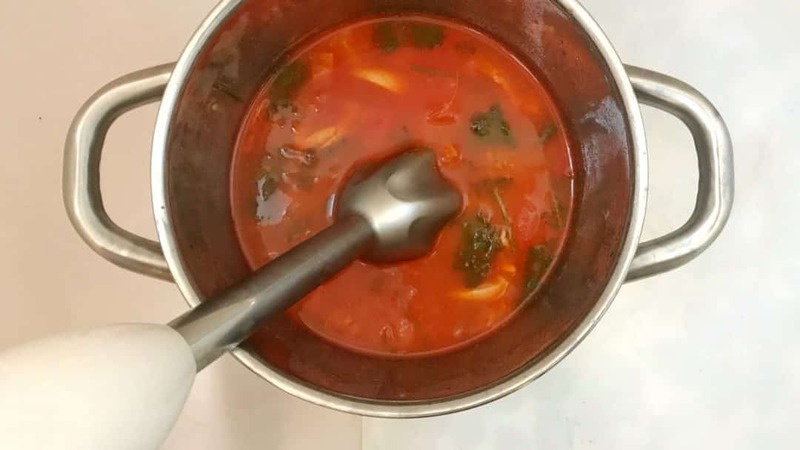 How to serve this soup then? Hot or cold, whatever you prefer because both versions are just excellent! Love Mexican style prawn recipes? Then also check out my prawn tacos! Or how about my chimichurri shrimp then? I love those shrimp because it’s served with my homemade chimichurri sauce! I could eat chimichurri until I burst, love it so much on a steak also! Peel the prawns. 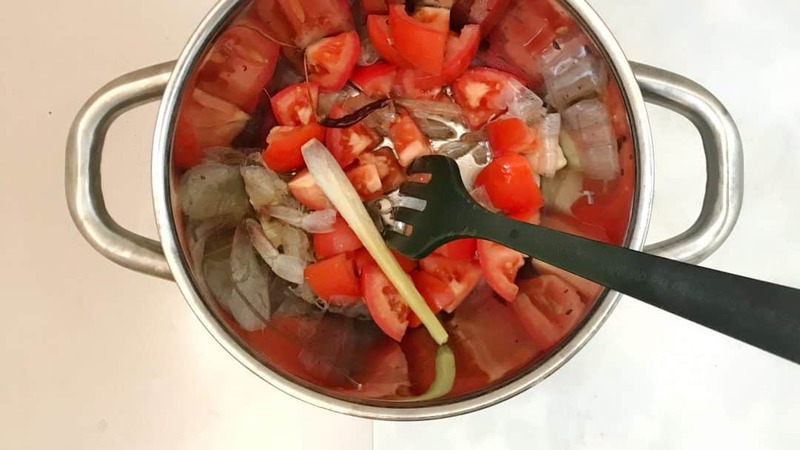 Add the scales to a large pan together with the peeled garlic, chopped tomatoes, dried chili, lemongrass (optional), some olive oil and a pinch of salt. Place the pan over medium heat and fry the ingredients for 4 minutes. 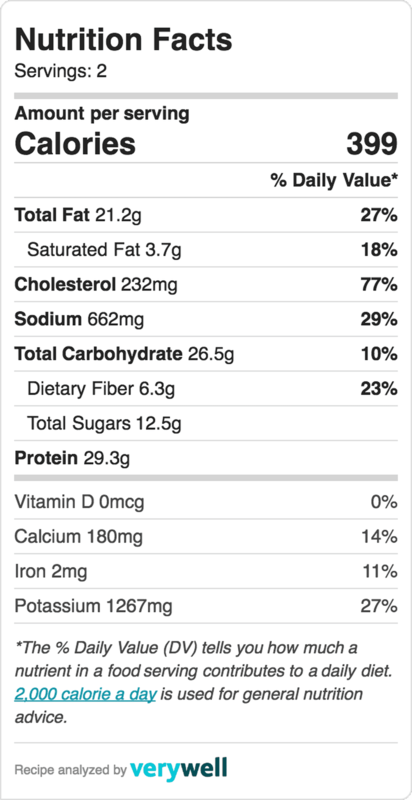 Then add the tomato juice, tomato paste, the stems of the cilantro and 2 cups (480 ml) of water. Turn the heat higher until the ingredients start to boil. Then lower the heat again and cover the pan. Cook the tomatoes for 15 minutes. Then take the pan off the heat. Let the soup cool down for 10 minutes. Remove the lemongrass because it's too tough. 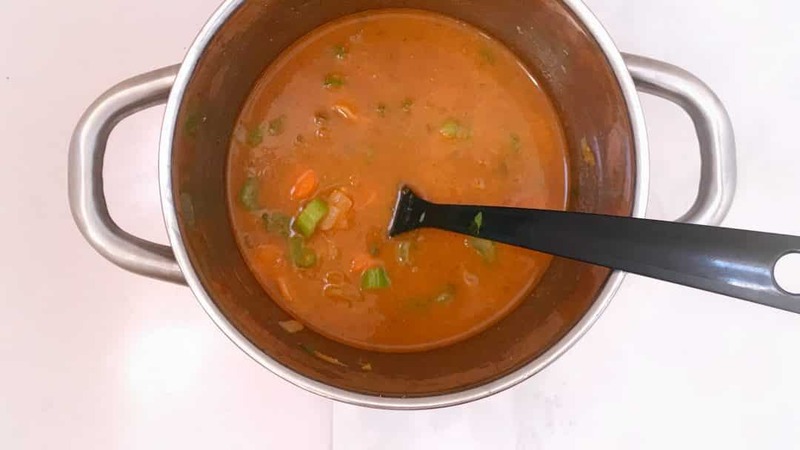 Blend or mix the soup. Then strain it. Discard the tomato pulp. Keep the tomato soup aside until later. 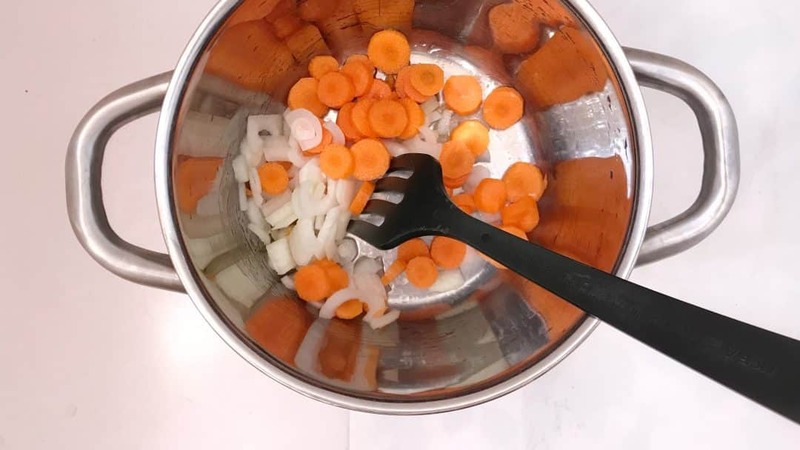 Add the chopped onion and carrot and some olive oil to a pan. Then place the pan over medium heat and fry the vegetables for 5 minutes until the onion is glossy. Then add the diced celery and peeled prawns. Season with a pinch of salt. Stir and cook the vegetables and prawns for 2 more minutes until the prawns are cooked. Then add the tomato soup. Turn up the heat until the soup starts boil. Cook for 3 minutes. Then turn the heat off and add the lime juice and chopped cilantro leaves. Check the seasoning and add extra salt, pepper or lemon juice to taste. 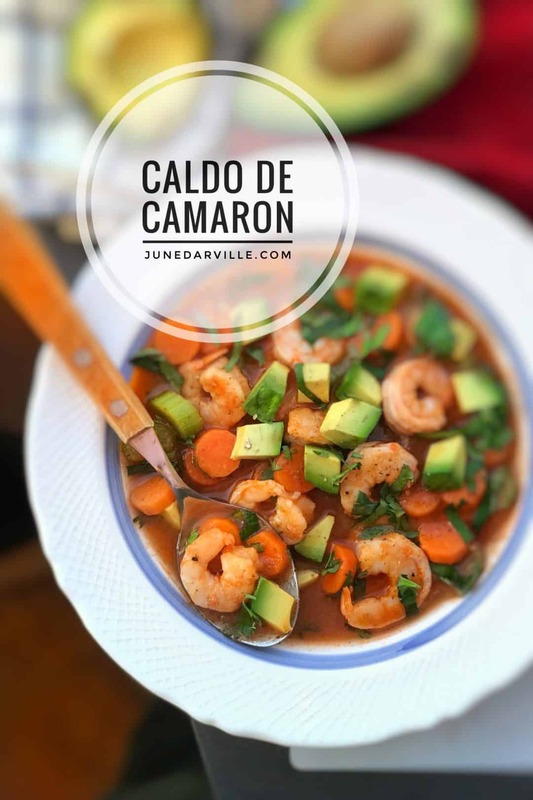 Scoop the caldo de camaron into bowls. Then sprinkle with chopped avocado and extra cilantro. Serve hot.